Do you feel as though it is time for you to get a newer vehicle, yet you are not quite sure that you want to make a commitment to a brand new model? When you want to find quality used Acura cars for sale in Marysville, you are going to see that there are plenty of great options within this family of vehicles to choose from. To make it even better, you can find the selection, pricing and customer service when you shop for a new to you Acura with Carson Cars. There are a lot of important factors that you need to take into consideration whenever you decide that buying a used vehicle is something you need to do. It goes without saying that it is imperative for you to find a vehicle that is going to have low mileage along with the best performance in the field. Shopping with a dealership, such as Carson Cars, will allow you to find everything that you need and much more. For years, Carson Cars has been able to provide their customers with unmatched customer service and some of the greatest selection in the area. Once you find the Acura that you love on the lot, all you have to do is take it for a test drive. When you know that you have the used Acura that you want to buy, you can then work with the finance department to lock in a wonderful price at a loan rate that falls in line with your budget. 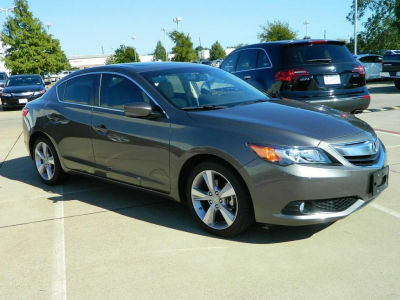 If you are interested in used Acura cars for sale in Marysville, Carson Cars has the selection you need. Call (855)583-9356 or stop by for more information.